Tesla Model S battery packs are composed of Lithium Ion 18650B batteries. Unless you are technically savvy, for many, this could just as well be in Klingon. Let’s try to break it down a little (or welcome to Klingon 101)! First, let’s look at the manufacturer’s (Panasonic) specification sheet. This document provides essential information on how to properly use these batteries. Take the time to open the document in the above link before we continue. First, a few definitions: the capacity (C) of the battery is expressed in mAh (milli Amper hour). This capacity is also used to indicate intensity of charging and discharging current. Thus, charging current (Charging) is 1625mA. Since the capacity is 3250mAh, you can see or calculate that the charging current must be limited to 1625mA or 1625/3250 = 0,5C. Also, CC-CV stands for Constant Current (CC) and Constant Voltage (CV). Thus, charging must be done with a maximum current limited to 1625mA per cell, and when the cell reaches 4,20V, the charger should remain at a constant voltage of 4,20V, which will gradually decrease the current. Charging should be stopped when the current reaches 65mA. Temperature effect: an important note: At temperatures below 10 Celsius, charge at a 0,25C rate. This indicates that when it’s cold, the battery must be recharged at half the current. In a Tesla Model S with a cold battery pack, regenerative braking is limited or even unavailable. Gradually, as the pack warms, recharging via regenerative braking becomes available again. 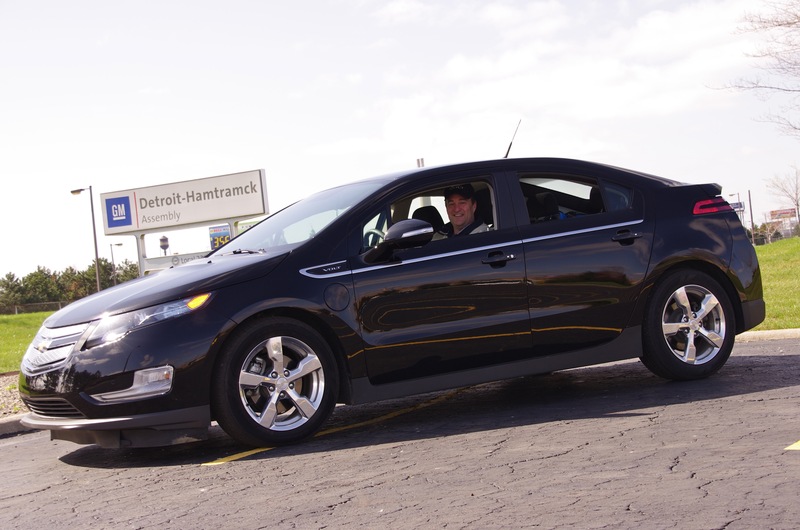 The Chevrolet Volt does the same when its battery is cold (as when left unplugged overnight in extreme cold). In the graph titled Charge Characteristics, you can see the cell voltage (in blue). It gradually goes up from 3,30V to 4,20V and then remains stable at this voltage, because the charger is limited to exactly 4,20V as charging goes from CC phase to CV phase. The current (green) is fixed at C/2 or 1625mA until the voltage reaches 4,20V, which occurs after about 105 minutes. From this point on, the current then decreases. Coloured in red is the amount of energy, in mAh, stored in the cell. At the beginning of the charge there is 0 mAh stored and at 105 minutes, when charging starts to slow down, the cell has stored about 3000mAh. Between 105 minutes and the end of the recharge, at around 180 minutes, the energy intake slowly decreases to 3000-3200 mAh. Thus, less than 10% of energy is accumulated in the last 75 minutes of charging. When applied to electric cars, you’ve probably noticed that the charging rate slows down as the battery fills. Now you have the explanation, related to the characteristics of the lithium-ion cells. To estimate the number of cycles that the cell can undergo in its lifetime, we charge it at a maximal current of 0,5C and discharge at a current of 1C at 25 degrees Celsius and then we count the number of charge/discharge cycles until the cell degrades down to 70% of its initial capacity (2250mAh). In the case of these cells, the number is about 500 cycles. 500 cycles? But that’s (relatively) low! Yes. But what is not shown on the spec sheet is that when you partially charge and discharge, degradation of the battery capacity is reduced. Thus, you can do over 40 000 charge/discharge cycles when going from 30% to 70% only. Or over 35 000 charge/discharge cycles from 20% to 80%; 28 000 cycles from 10% to 90%; 15 000 cycles from 8% to 92%, 7500 cylces from 6% to 94%, and the capacity reduction goes faster and faster, finally reaching 500 cycles when recharging from 0% to 100%. This explains the partial cycling strategies implemented by car manufacturers: GM limits the cycle from 17% to 80% of energy storage levels for the Volt. Nissan limits maximum charge level of the LEAF to 90% (4,15V). Tesla invites owners to limit the maximum load to 90%, and recommends avoiding deep depletion of the battery pack. All these strategies work well and significantly increase the number of battery cycles. When I manage the power levels of my own Tesla, I try to keep my maximum load below 90% and avoid depleting below 20%. Following this practice since the purchase of my Tesla, I have seen no capacity degradation. My wife’s 2012 Volt shows no degradation either. In fact, no Volt has yet shown degradation below 70% of the initial capacity which would have resulted in a warranty claim. In conclusion, we can trust the reliability of our Lithium batteries! The Discharge Characteristics (by Temperature) graph shows us the amount of energy obtained depending on the ambient temperature. At 40 Celsius, you get more energy (3250mAh) and at -20 Celsius, less energy (2200mAh). So in cold weather, electric range is affected because the battery is too cold. To compensate for this characteristic, several manufacturers have integrated a temperature management system in the battery pack that heats it in the Winter and cools it in the Summer. Lithium-ion batteries degrade at temperatures above 25 Celsius. We’ve seen this with the early Nissan LEAFs used in very hot climates of southern parts of the United States. Battery capacity of these vehicles degraded at a faster rate than expected. For the best capacity and optimal life of the battery pack, it is recommended to choose an electric vehicle with an integrated thermal management system. The final graph shows that the total amount of energy provided by the cell will reach between 3200mAh (2C, 1C, 0,5C) and 3300mAh (0,2C). Lithium Ion batteries are not affected by the Peukert equation that afflicts lead acid batteries. Thus, whether the discharge current is 2C or 6400mA or lower, you’ll get virtually all the energy that was stored into the cell. As an electrical engineer, I've been following the electric vehicle market and development for many years now. With our large reserves of clean and renewable «blue» energy (hydro-power), it simply makes sense to promote EVs in Quebec. I am the proud owner of a 2011 Chevy Volt and my wife drives a Volt too! We were probably the first «high VOLTage» family in the province! *UPDATE : Francois has since «upgraded» to a Tesla Model S - an acquisition made possible, he likes to say, by the gas savings from his Volt! could you please link to studies, spec sheets ect. wich prove the claimed 40.000 cycles for a panasonic cell ? The linked spec sheet does not have this info and claiming such high numbers require some sort of documentation. There seems to be some misunderstanding regarding the linked study. It definitely does not indicate a number of cycles in the range of 40000. Instead, Table 2 shows e.g. the total amount of charge taken from the battery is 3610Ah, corresponding to 1128 equivalent full cycles, when a partial discharge of 60% total capacity starting at 75% state-of-charge is used, i.e. from 75% to 15%.